Arriving at the historic Selma depot. Start at the Selma Visitors Center for information brochures and a chat with their knowledgeable staff to see what else is happening while you’re there. Then make your way through town, stopping to look inside Selma’s antique shops and artisan studios. After working up a thirst, do yourself a favor and pop into Creech Drug Co. for a tasty treat made the old-fashioned way at their soda fountain with hand-dipped ice cream, or try a cold glass of fresh lemonade or orangeade. Fans of Branson-style entertainment should check the schedule at the American Music Jubilee in the Rudy Theater. This popular show offers year-round live entertainment featuring country music and comedy that the entire family will enjoy. At some point, be sure to stop by the Selma Union Depot to learn how it is bringing this railroad town back full circle. Originally built in 1924, the depot was one of the stops Lady Bird Johnson made on her Whistle-Stop tour in 1964. Having survived the threat of demolition in the mid-70s, the depot was renovated in 2002. Its downtown location makes it easy to ride the train into town and walk a short distance to the town center, or take a cab from the station for the few short blocks. 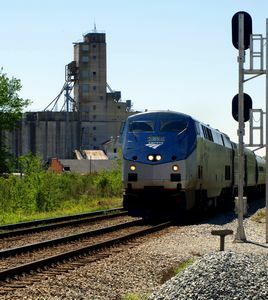 Check routes and schedules before planning a rail trip. Travelers also can easily access Selma off Interstate 95 or US Route 70. NOTE: Selma is a short distance from Smithfield, the place Ava Gardner grew up. Make a weekend of it by adding the Ava Gardner Museum and the Carolina Premium Outlets shopping center (both in Smithfield) to your visit.